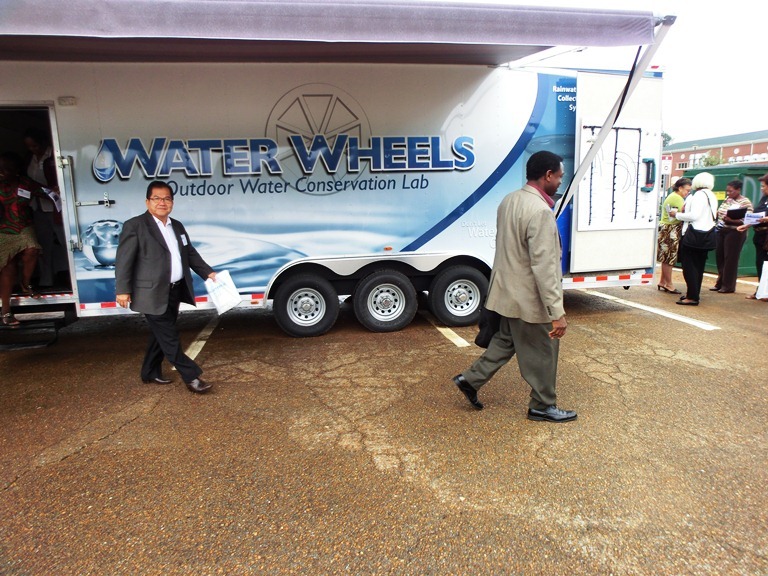 Baton Rouge, La – Twelve SU Ag Center personnel recently participated in USDA/NIFA Project Directors’ Conference in Alabama. The United States Department of Agriculture/National Institute of Food and Agriculture (USDA/NIFA) held its 2012 Project Directors’ Conference hosted by the Alabama A & M University, September 16-19 in Huntsville, Alabama. This mandatory conference targeted personnel who have won the 1890 Institutions Capacity Building Program grants from USDA/NIFA in recent years. This year’s conference was really crucial given the projected severe federal budget reductions for the coming fiscal year. All 1890 Land-Grant institutions (and Tuskegee University) were represented at the conference which was attended by more than 150 individuals from across the United States. Several top officers and staff from various offices and units of the USDA/NIFA were on hand to answer questions from participants and partner institutions including, Dr. Muquarrab Qureshi, assistant director-Institute of Youth Family & Community, Dr. Edwin Lewis, National program leader, and Mr. Garland Robertson, program specialist. Dr. Andrew Hugine, Jr., president-Alabama A & M University accompanied by his provost & vice president for academic affairs, Dr. Daniel Wims brought welcome greetings to participants. The following faculty/staff members representing the SU Ag Center and SUBR attended and made oral and/or poster presentations: Drs. Kit Chin, professor-sustainable agriculture, Fatemeh Malekian, professor-Nutrition, Kasundra Cyrus, specialist-family/human development, Bridget Udoh, communications specialist, Yadong Qi, professor-urban forestry, Oscar Udoh, Coordinator for Planning & Evaluation, Patricia Meyinsse, professor-agricultural economics, Doze Butler, professor/interim dean-graduate school, Bernestine McGhee, professor-human nutrition & dietetics, Glenda Johnson, associate professor-human nutrition & dietetics, Calvin Walker, professor-animal science, and Gloria London, director, Center for Rural & Small Business Development. The conference provided information on USDA/NIFA policy and procedure changes as well as updates for the coming year. With the uncertain budget situation for FY 2013, the restructuring of USDA/NIFA and the appointment of a new director, this year’s conference was particularly essential for faculty and staff who apply for grants and contracts from USDA/NIFA. USDA/NIFA officials emphasized the need to abide by the terms and conditions of the awards especially by using grant funds for the specific purpose intended and to advance the mission of the United States Department of Agriculture/National Institute of Food and Agriculture. Presentations at the conference touched on issues pertaining to NIFA Priority Areas: Global Food Security; Childhood Obesity; Climate Change; Sustainable Energy; and Food Safety. They also discussed extensively the need for annual reports that are outcome-based; these reports receive a lot of attention from federal authorities such as, the Office of the President through the office of Management and Budget, Congress, and the Office of the Inspector General, USDA. 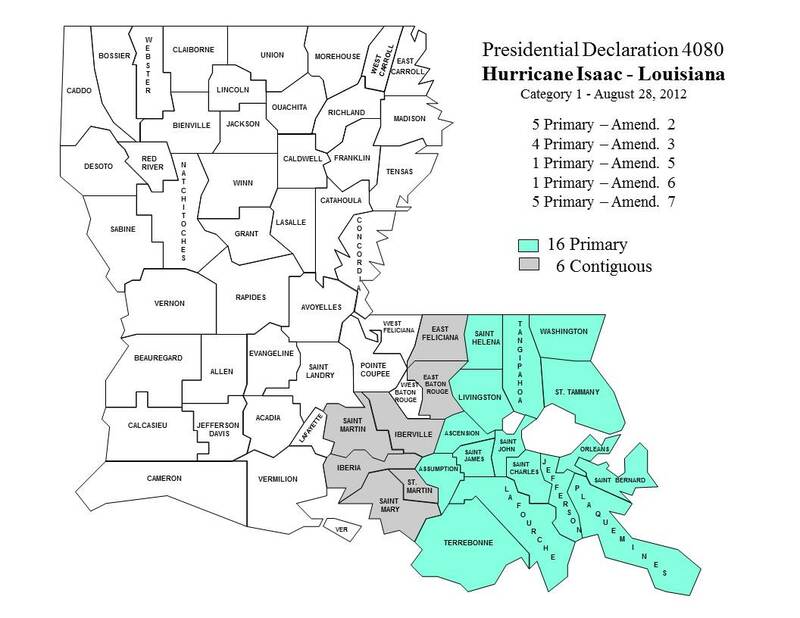 Baton Rouge, LA – for the November 6, 2012 election, the last day to register to vote is fast approaching on October 9th. Voting is an essential part of our participatory Democracy. If you don't vote, you are allowing others to make your choices for you. Your vote is your voice. It is your right as an American, and you need to exercise it. You may register online at http://www.sos.la.gov/tabid/457/default.aspx. Before you get to that voting booth, however, you need to prepare yourself. The first, and most important, step is registering to vote! Tomorrow is national voter registration day and it is a perfect time to confirm you're prepared to cast your ballot on Election Day. Whether this is your first time registering or just an opportunity to refresh and renew your existing registration, take this opportunity to get registered. Our democracy depends on it. Remember, you MUST be registered by October 9th, 2012, in order to vote in the November 6th Presidential Elections. On the web, go online at www.GeauxVote.com, where you can check your registration or download a voter registration form. Remember, even if you believe you are ALREADY registered to vote, it is still useful to "refresh" your registration at your current address to make sure you can vote at your nearest precinct. In Person, Visit Your Registrar of Voters for Registration Forms or Questions or call. 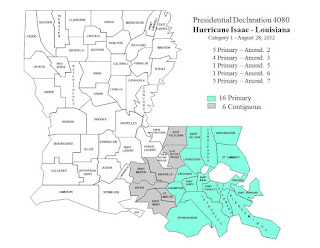 The only qualifications you need to vote in Louisiana are: United States citizenship; at least 17 years old but must be 18 years old prior to next election to vote; Not under an order of imprisonment for conviction of a felony; Not under a judgment of full interdiction for mental incompetence or partial interdiction with suspension of voting rights; Reside in the state and parish in which you seek to register. Early Voting Schedule for November 6th Presidential Election is Oct. 23-30, 2012 at the Registrar of Voters office in each parish and at designated locations in certain parishes. Get out there, register and GEAUX VOTE! Team SU Ag Center to Participate in Annual Step Out to STOP Diabetes Walk!!! Baton Rouge, La – The Southern University Ag Center will participate in the STOP Diabetes Walk, October 20, 2012. By taking part in this event, the team will be stepping out onto the streets to help change this growing epidemic. This annual event takes steps towards preventing and curing this deadly disease. The walk takes place on Saturday, October 20, 2012, SU Home game day, at Pennington Biomedical Research Center. The walk is no more than 3 miles in 45 minutes. How you can help: Join the team or give a tax-deductible donation by calling or visiting Erica Williams at the SU Ag Center; or emailing erica_williams@suagcenter.com; or following this direct link to the SU Ag Center Team page on diabetes.org: http://main.diabetes.org/site/TR/StepOut/A2LAM-LouisianaSouthernMSArea?team_id=555195&pg=team&fr_id=8402 ; or following this direct link to donate on Erica’s Page on diabetes.org: http://main.diabetes.org/site/TR/StepOut/A2LAM-LouisianaSouthernMSArea?px=1688195&pg=personal&fr_id=8402. Please make all check/money order donations payable to: American Diabetes Association. Cash donations are also welcome. No amount is too large or too small just desperately needed to help cure this overwhelming disease! Here are reasons you should take pride in participating in Step Out: Walk to STOP Diabetes: About one in 10 American adults now has diabetes; Diabetes is the seventh leading cause of death by disease in the U.S.; One out of every three Americans born today will develop diabetes in their lifetime if present trends continue; Nearly 7 million people of the 25.8 (8.3%) million children and adults in the U.S. living with diabetes are unaware that they have the disease. This annual event takes steps towards preventing and curing this deadly disease. By participating in Step Out, we're not just walking and raising funds to eliminate one disease. We're also battling cardiovascular problems, kidney failure, blindness, lower limb amputations, and much more. You may join the walk or support Team SU Ag Center and help make a difference to millions of Americans living with diabetes, as well as the other 20 million at risk for developing this life changing disease. Please show your support and add your HAND to the Diabetes Tree of Life in the SU Ag Center Foyer! Baton Rouge, La. – Southern University Agricultural Research and Extension Center on Wednesday, September 19 held its first joint Back-to-School Summit at the Blackham Coliseum in Lafayette. The event brought together approximately two thousand 8th grade students from six surrounding parishes. Students from St. Landry, Lafayette, Vermilion, St. Martin, Pointe Coupee, and Evangeline were exposed to several motivational speakers on the topics of bullying, self-esteem, abstinence, and "Discovering the Winner in YOU." Participants enjoyed two musical performances by 16-year old Recording Artist Shalyric Self. They also won several door prizes including safety helmets, musical headphones, and educational materials. A member of the SU Admissions Office was on hand to share information about the university. Event attendees and the public have provided lots of positive feedback on the success of the summit. Participating students reported that they enjoyed the Back-to-School Summit. When asked if she enjoyed the summit, Heather Gilmore from Lafayette Parish stated, "It was very fun and I liked the prize drawings and the speakers!" The event was organized by the Southwest Center for Rural Initiatives, a satellite entity of the SU Ag Center whose mission is to conduct basic and applied research and to disseminate information to the citizens of Louisiana in a manner that is useful in addressing their scientific, technological, social, economic and cultural needs. Dr. Wanda Burke serves as director of the Center. Baton Rouge, La. – Southern University Research and Extension Center administrators and writers recently paid a visit to the Advocate editorial board to share the spectrum of programs in place to address issues in Louisiana parishes. Present at the meeting from the SU Ag Center were Leodrey Williams, Chancellor; Adell Brown Jr., Vice Chancellor for Research; Gina E. Eubanks, Vice Chancellor for Extension; Bridget Udoh, Communications Specialist; and Charisma DeBerry, Research Associate. Attendees from the Advocate were Danny Heitman, Editorial writer/columnist; Fred Kalmback, Managing Editor; and Lanny Keller, Editorial Writer. 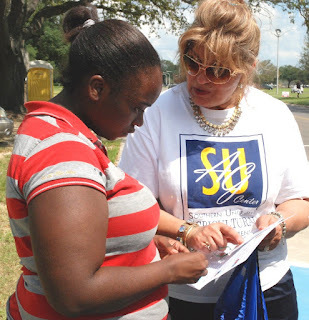 [Baton Rouge, La September 12, 2012] To kick off the home opener of the Southern University football season, Fatemeh Malekian, professor, nutrition; Janana Snowden, research associate; and De’Shoin York, nutrition specialist, Southern University Ag Center passed out disposable meat thermometers to Southern University football fans on the bluff. “We want to make sure that tailgaters are practicing food safety, and by passing out meat thermometers we hope that they will begin to test the temperature of their food before it is taken of the grill and served,” said Dr. Janana Snowden of the SU Ag Center. Nutrition education materials were also distributed to tailgaters, giving them important tips on what to do with food before and after tailgates. Dr. Fatemeh Malekian and Dr. Janana Snowden also recruited participants for the weight loss study that begins soon at the SU Ag Center. The goal of the study is to find new ways to combat childhood obesity. To qualify for the study, participants must be African American, 18-40 years old, and willing to lose weight. Upon completion of the study, participants will be compensated at $300. For additional information, or enroll in the weight loss study, please contact Dr. Fatemeh Malekian at fatemeh_malekian@suagcnter.com or Dr. Janana Snowden at janana_snowden@suagecenter.com or by calling 225-771-0251. 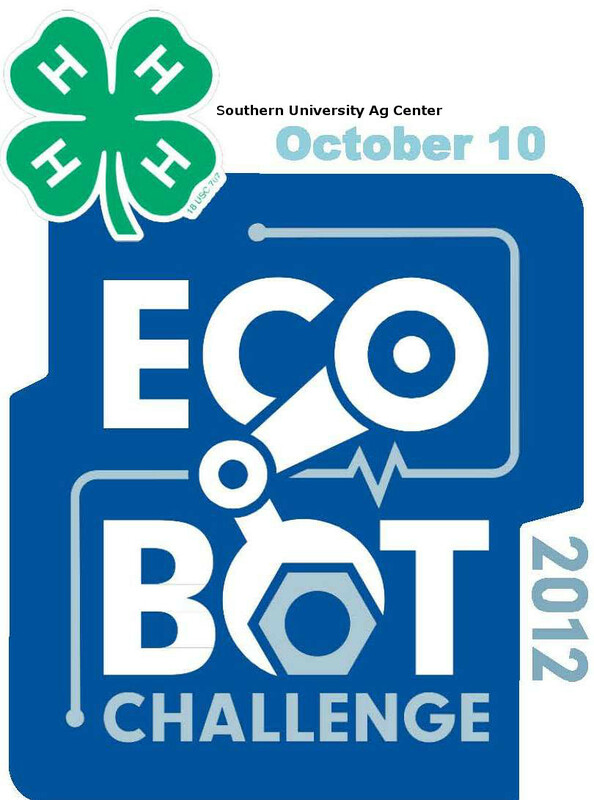 Baton Rouge, La - On behalf of the Southern University Agricultural Research and Extension Center, you are invited to join us on October 10, 2012 for 4‑HHHh National Youth Science Day, during which we will conduct the National Science Experiment, the 4-H Eco-Bot Challenge. This national event, designed to engage hundreds of thousands of American youth in a single science experiment, will demonstrate that by utilizing engineering principles, youth can have a positive impact on communities and ecosystems. The “Southern Lab School 6th Grade Bot-Sperts” are ready for the challenge! The Southern University Agricultural Research and Extension Center will host the “Southern Lab School 6th Grade Bot-Sperts,” for the 4-H Eco-Bot Challenge on Wednesday October 10, 2012 from 9:00 am-12:00 pm, Room 191, 1st floor, A. O. Williams Hall. Your attendance in this event will encourage the children in our community to take an interest in science education, and develop a passion for important issues facing our nation today. During 4-H National Youth Science Day, youth in 4-H clubs, after-school programs, camps and affiliated organizations across the country will enhance their engineering skills by assembling their own Eco-Bots and surface controls to manage an environmental clean-up. Youth will then test the interaction between the Eco-Bot’s design features and various surface control configurations to determine the most effective clean-up solution for the simulated spill. Baton Rouge – The U. S. Small Business Administration (SBA), Louisiana Department of Economic Development (LED) and the Louisiana Small Business Development Centers (LSBDCs) recently announced the opening of nine Business Recovery Centers (BRCs) to provide a wide range of services to businesses impacted by Hurricane Isaac. “Due to the severe property damage and economic loss Hurricane Isaac inflicted on businesses in Louisiana, we want to provide every available service to help get them back on their feet,” said Michael Ricks, SBA’s Louisiana District Director. “These centers will provide a single one-stop location for businesses to access a variety of specialized help,” he added. SBA customer service representatives will be available to meet individually with each business owner to explain how an SBA disaster loan can help finance their recovery. “We can answer your questions about SBA’s disaster loan program, explain the application process and issue and accept your completed application,” Ricks said. Business owners may also get help from SBA representatives at any Disaster Recovery Center in Louisiana. They may also contact SBA’s Customer Service Center by calling toll-free (800) 659-2955, e-mailing disastercustomerservice@sba.gov or visiting SBA’s Web site at http://www.sba.gov/services/disasterassistance. Individuals who are deaf or hard-of-hearing may call (800) 877-8339. Additionally, disaster victims may now go online to file an SBA application for disaster loan assistance. The Electronic Loan Application (ELA) is accessible via SBA’s secure Web site at https://disasterloan.sba.gov/ela. Baton Rouge, LA - The Southern University System (SUS) Board of Supervisors, October 2011, approved a policy to make all campuses within the SU System 100 percent tobacco-free. You are urged to support the implementation and awareness of this important policy and health initiative. Baton Rouge, La. - September marks the start of National Childhood Obesity Awareness Month, a time for us to encourage America’s children to develop healthy habits that can last a lifetime. All kids deserve to experience the positive health benefits of daily physical activity and healthy eating, and have those opportunities available to them. In light of this, the U.S. Department of Health and Human Services has developed programs and resources to help children and parents through agencies such as the President’s Council on Fitness, Sports and Nutrition, the Centers for Disease Control and Prevention, and the National Institutes of Health’s We Can! (Ways to Enhance Children’s Activity & Nutrition)® Program. That is why HHS, with the President’s Council, supports First Lady Michelle Obama’s goal to end childhood obesity within a generation through her Let’s Move! Initiative. Everyone has a role to play – parents and caregivers, school teachers and administrators, community leaders, local elected officials, after school programmers, and health care providers. Available through public-private partnerships, safe places to play and nutritious food options are being made available in neighborhoods and schools across America. Exciting new programs include the Partnership for a Healthier America and Olympic Team USA’s commitment to provide 1.7 million kids the opportunity to participate in free and low cost physical activity programs offered by the United States Olympic Committee (USOC), USOC National Governing Bodies for sport, and others over the next year. And, the U.S. Department of Agriculture recently released a new farm to school grant program designed to educate children about food sources, and increase the availability of locally sourced foods in schools. Over the past 30 years, the childhood obesity rate in America has almost tripled. According to the CDC, in 2010, approximately 17 percent of children and adolescents aged 2-19 years were already obese. Children and teenagers who are obese are more likely to become obese adults. Overweight and obese youth are at greater risk of developing serious adult health problems such as heart disease, type 2 diabetes, stroke, certain types of cancer, and osteoarthritis. Let’s work together to make the healthy choice, the easy choice! In coming weeks and months, HHS and the President’s Council will announce exciting initiatives that will go a long way towards ensuring that our nation’s children grow up to be healthy, fit and strong. Baton Rouge, La. – Southern University Professor Emeritus James McNitt was among the pioneers in the USAID Farmer-to-Farmer program to assist Haitian Makouti Non-Governmental Organization with rabbit production in the early 2000s. In Haiti, where the unemployment rate is estimated at 40.6% and much of the country is food insecure, empowering rural farmers to develop their own small agro-enterprises is a win-win approach. Haitians can create their own job opportunities rather than waiting for them to be created, while also filling gaps in the agricultural markets and improving food security. The project is highly successful and impacts many lives in Haiti despite its numerous natural disasters. This project needs your vote to win the cash prize on the World Bank competition. To read the full story and/or cast your vote by September 15, click here: Job Knowledge. Once at the site, scroll down the page and click on a star below “Rate this post.” This brings up a dialogue box with five stars. Click on the fifth star and submit your vote. Thank you. Makouti was established in 2004 for this reason and supports more than 1,000 producers of a wide-variety of agricultural products. Rabbit production is an example of one type of micro-enterprise promoted by this project. Rabbit production is an ideal activity for Haitian farmers since it is less feed-intensive than other types of animal production. 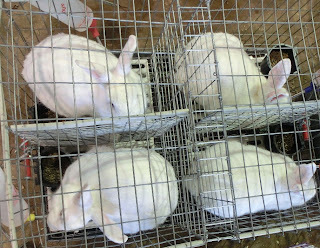 Rabbits are easy to manage by anyone and do not require much space; the reproduction cycle is short; and rabbit meat is higher in protein than other meats. The project has been so successful that it was recently entered into an online competition on the World Bank Jobs Knowledge Platform, which aims to collect and share practices for job-creation and entrepreneurship project with the possibility of winning a cash prize.